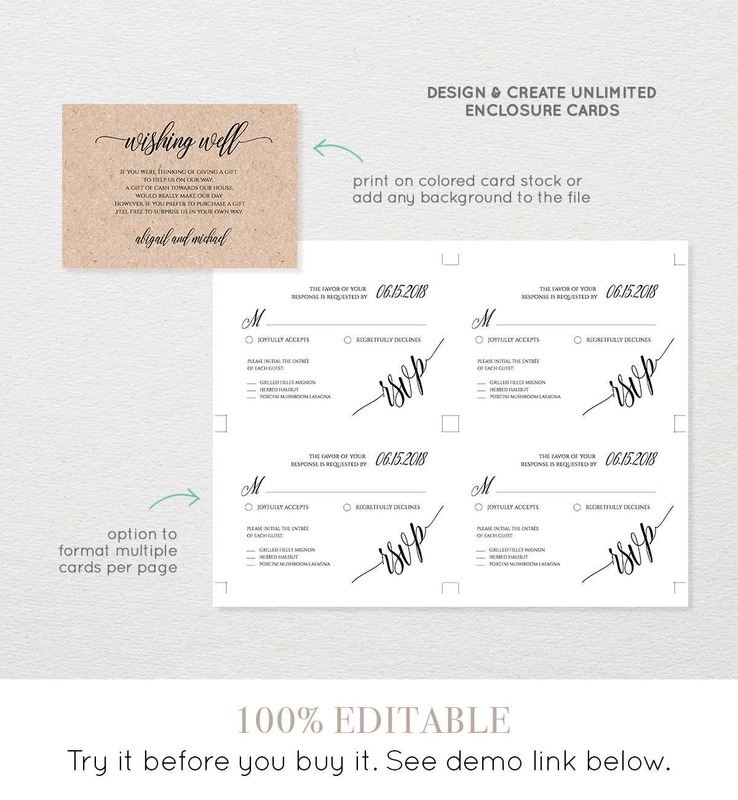 This listing is an "INSTANT DOWNLOAD" that includes a high resolution, printable Enclosure / Insert Card. 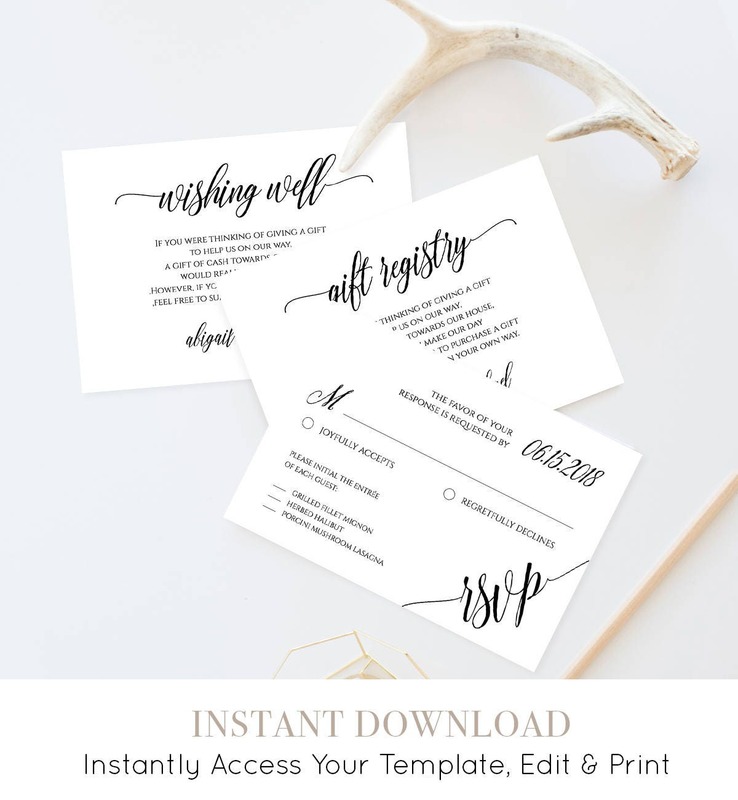 Design and create as many cards you like, including wishing well, rsvp, accommodations, gift registry, etc. Access your template within minutes of purchase and edit in TEMPLETT - A fully customizable template editor that allows you to personalize your printable directly in your web browser. No software to install or fonts to download. PERFECT ! This is exactly what I was looking for. Thank you !! Easy to use. Loved that I could customize everything and print out the same day. Perfect for my needs. Seller helpful on making an additional order specifically for me!